This post is a complete rambling of thoughts that I have been contemplating these past few days. Recently, I was going through some old pictures and videos on my phone and watched an old video of my friend's 3-year old singing and practicing happy new year song for her play school event. In all her cuteness, she was singing that song in her sweet childish voice and slang. So, instead of singing happy new year, she was ending it with happy new 'you'. I remember my friend telling me that her first kid and herself tried telling the child it was new year and not new you, but the child never bothered to change. It might sound like a small error on the part of the child's understanding or pronunciation, but the kid indirectly taught me something. Isn't it right and better that we sing every new year as happy new you? This took me back to my random thoughts eating my mind for the few days- about being an evolved person. Well, we are all much evolved species in this tree of life. However, each generation evolves better than the other. In fact, we try getting ourselves to be near perfect and better to survive this big wide world. This evolution will happen not just over million years but every day and every week which in turn probably reflects as a big change every year. This is why being a new you is more important than wishing for just a new year. The year is new only when our perspectives are new, else it is just a number change on the wall calendar or the additional folds in our skin or the additional inches in one's height. Between the degrees we take, the jobs we change, the relationship we grow and maintain all help us evolve better every time we sleep and wake up. My perspectives on many things has changed over time. I have not deviated off to a completely different tangent for sure (at least not for most cases) but I have evolved better every day and every year. For instance, one of the most important relationship we need to have is friends. Yes, friendship and friends become an important building block in our journey called life. Without a companion living a life here on earth is almost next to impossible (I would say totally impossible). However, my perspectives on friendship has been shaped by my experiences this far. Every possible stage of my life I have made different friends and have kept in touch with people (or not- vice versa) and this has changed how I look at friendship. If I had a certain belief about that relationship, today, I am much more evolved person (good or for bad- not sure!). Some days are a struggle as I want to go back to the old self and other days are hard. 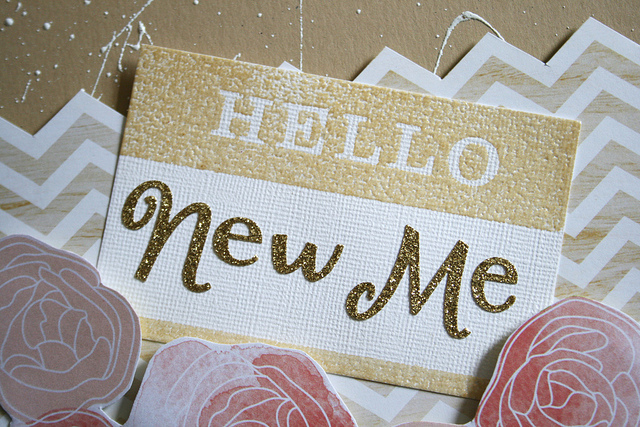 But becoming a new me is a struggle just like how hard it is to bade bye to the old years and welcome the new. But we have to do it and that is the same with the new 'me'. I hope I get to turn to a new me everyday for better.